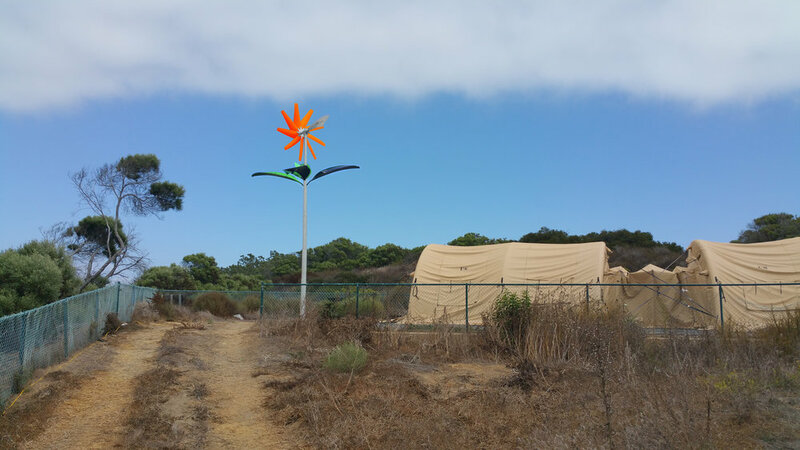 San Diego’s Primo Wind partners with nonprofit Rerip to offer clean energy to powerless. As you order online, fill up for gas, or turn on the heater this Holiday Season, please remember that, as of November 22nd, there are still 2.5 million people in Puerto Rico alone without power who were affected by the devastating hurricanes this past fall. Primo Wind, a clean energy equipment supplier, has teamed up with Rerip, a 501c3 nonprofit, to put an end to this statistic via the “Primo Seeds” Campaign, and we need your help. Starting today, those who make donations to Primo Seeds via Rerip, will support the gifting of Primo Wind’s EnergiTree, a wind, solar, and battery system, to those schools, businesses, or homes that are still dark from the hurricanes that hit the Caribbean early this year. The EnergiTree provides enough power to completely run an average Caribbean home on 100% wind and solar. “We couldn’t be more excited to participate with Primo Wind in the Primo Seeds campaign. Their innovative designs are just what the Caribbean needs right now to help get people’s basic needs met. It is hard to talk about recycling surfboards when people don’t even have power.” said Meghan Dambacher co-founder and President of Rerip, a San Diego nonprofit company known for keeping surfboards out of landfills and advocating for clean energy. Primo Wind designs and builds patented micro wind turbine and hybrid wind/solar products. Primo Wind’s design creates accelerated wind flow and mimics wing and sail design. The systems provide efficient, quiet, clean, reliable renewable power with a small footprint and environmentally friendly designs that allow for seamless integration into the surrounding environment. Primo Wind’s Force Micro Turbines are perfectly suited as stand alone for off grid installations or for micro grid solutions and they don’t kill birds. Rerip is a San Diego 501c3 organization striving to keep surfboards out of landfills while advocating for a cleaner surf industry. Run by a team of volunteers, Rerip sets up locations for people to drop off their unwanted boards, fins and wetsuits. Always advocating for clean energy via innovation and collaboration, Rerip also hosts local events and awareness campaigns for surf and environmental education. For more information about finding a surfboard recycling location in your area, what we do, or how you can help, please visit www.rerip.org.